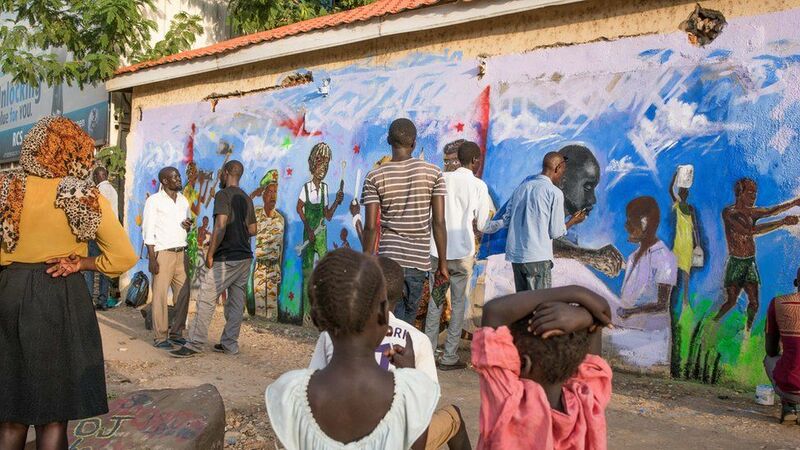 After nearly three years of devastating civil conflict, South Sudanese artists have come together to try and get the country thinking and talking about peace, by launching a public art project in the capital Juba. 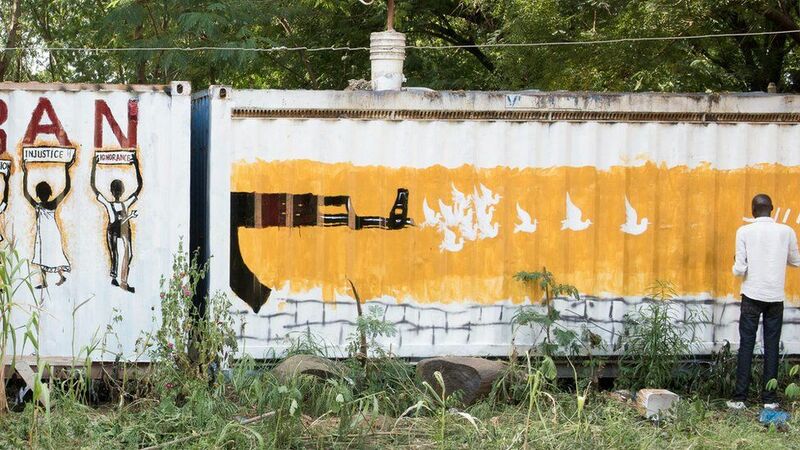 Painted murals have appeared on walls and shipping containers across the city. 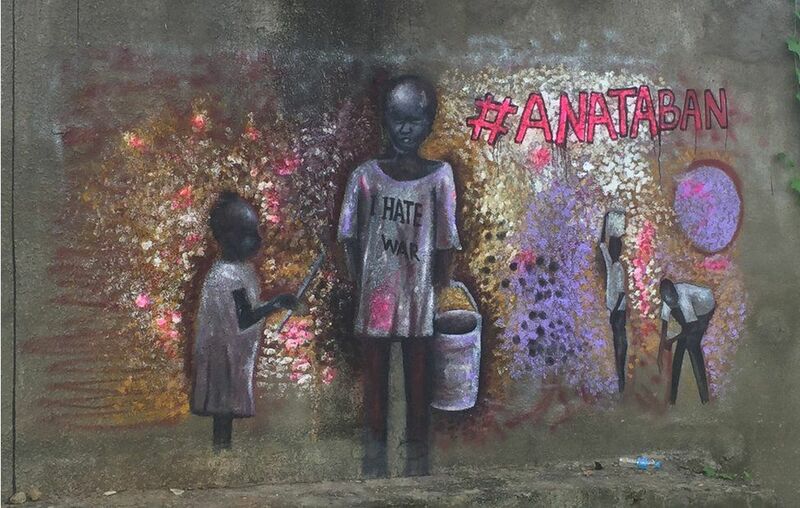 The Ana Taban collective (from the Arabic “I am tired”) takes its name from a parallel pro-peace movement in Syria. The artworks highlight the suffering of children in the civil war. 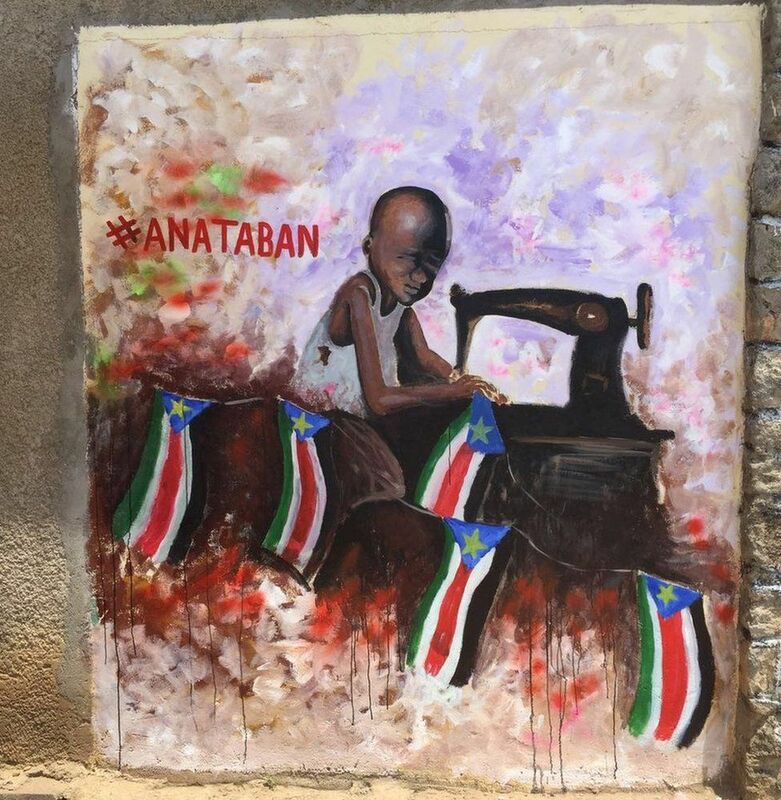 “In the end they are the ones who will have to pick up the pieces and stitch the fabric of South Sudan back together,” the group says. 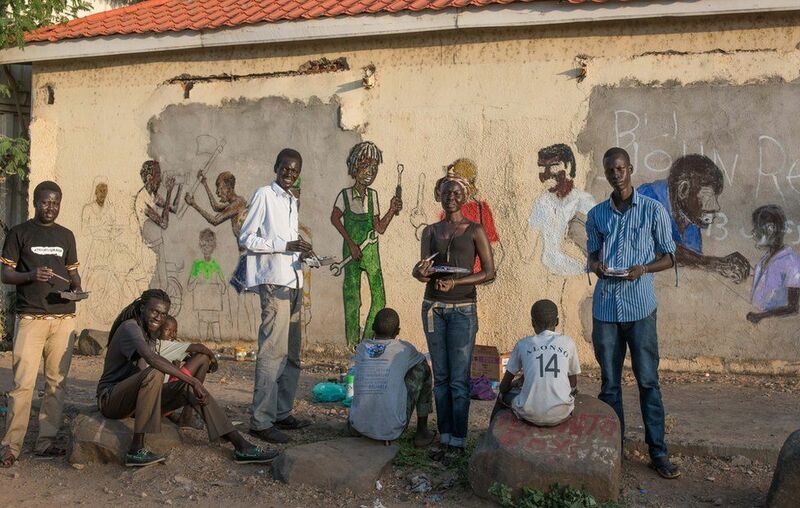 The walls of schools, bakeries and cultural centres in Juba have been repurposed as concrete canvases for the artists. Nearly one million children have been displaced in the conflict, which has devastated a nation that harboured such great optimism at independence five years ago, when it became the world’s newest country. 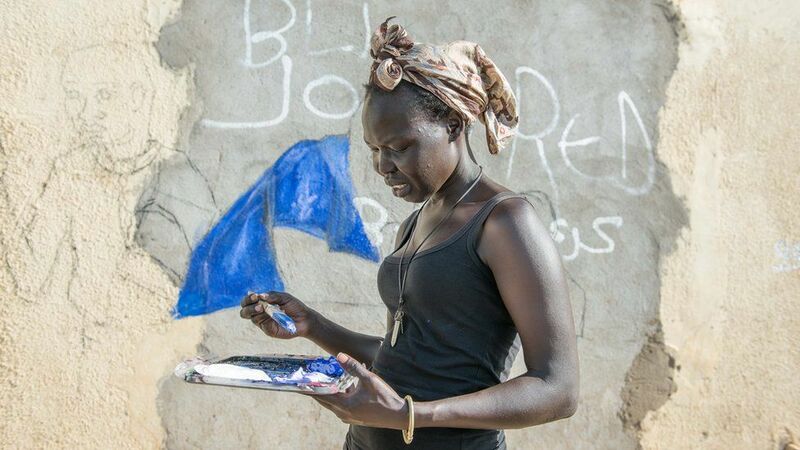 Student Abul Oyay Deng fled the conflict in 2013, ending up in Nairobi, but has returned home to join in the project. 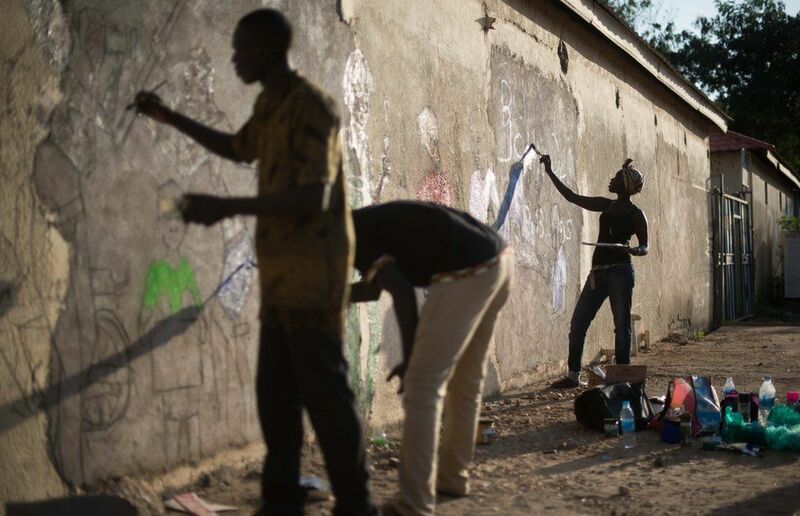 The artists in the collective worked with residents of local neighbourhoods on some murals. 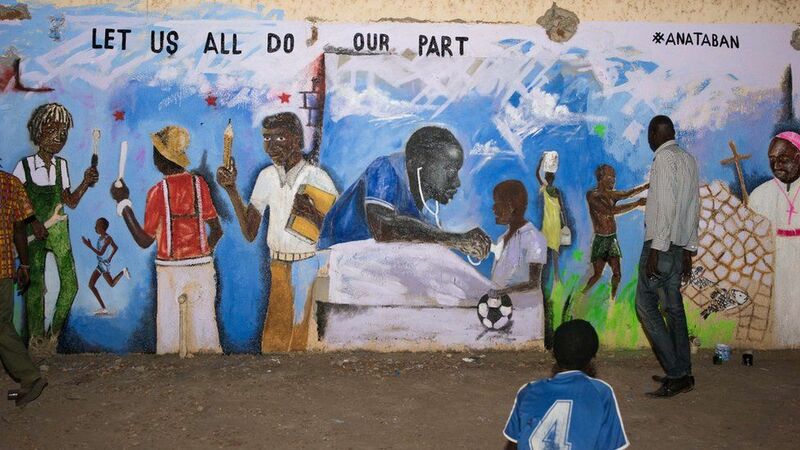 The man depicted treating a child in the centre of the artwork is inspired by Dr Ding Col Dau, who returned to South Sudan in 2014 to practise medicine, but was murdered in his own home the following year. 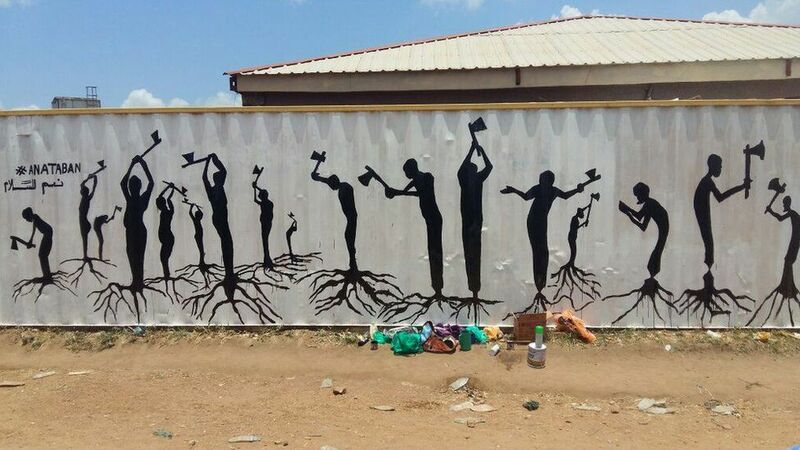 Cutting our Roots, Destroying Ourselves depicts the self-destructive nature of the conflict. 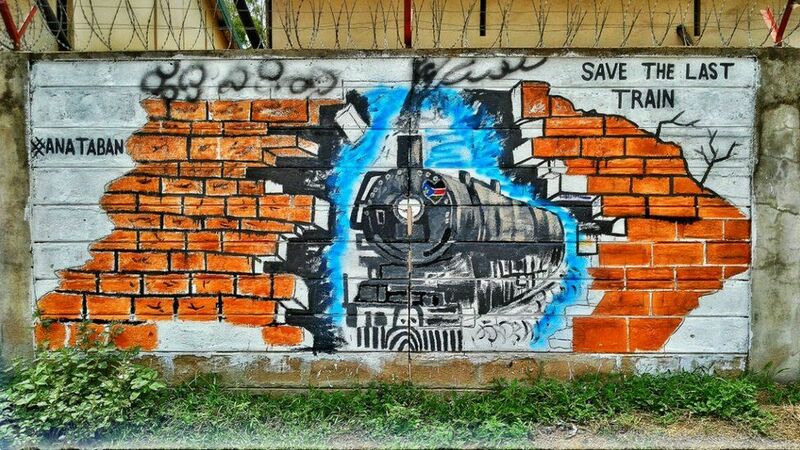 An online campaign #SaveTheLastTrain by South Sudanese poet Akol Miyen, inspired this artwork. “This is the last train because our chances as a nation our running out,” the group says. 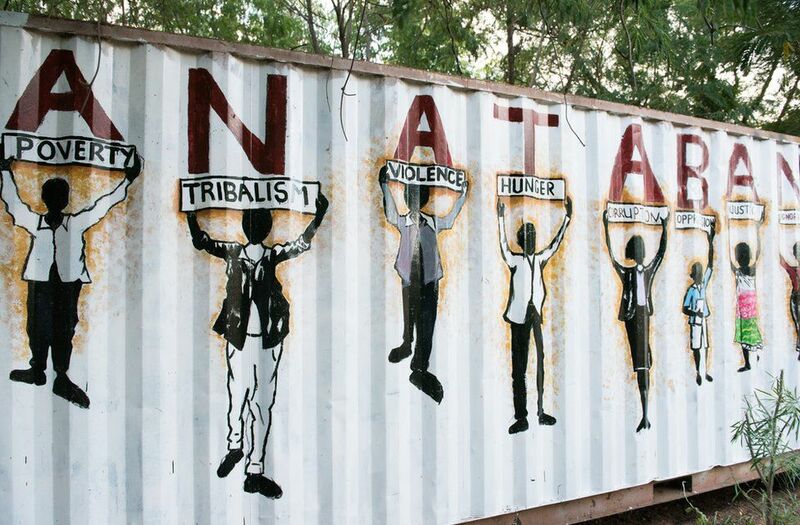 Having spread its message over many of the walls in Juba, the team now plans to extend the project outside the capital.